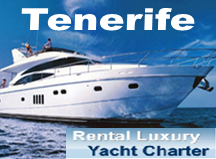 Puerto Col�n Tenerife, calls itself a port but it is actually a large and very attractive marina. Purpose built and privately owned, Puerto Col�n Tenerife is simply stunning and the ideal spot for the more discerning property purchaser. With its selection of clean sandy beaches, a wealth of sporting activities with some of the islands best facilities and a wide choice of chilled out and relaxing bars and restaurants to choose from, Puerto Col�n Tenerife is all set to be the islands next most popular resort. Puerto Col�n is part of Playa de Las Americas although the atmosphere of this marina is drastically different than that of the busy nightlife and constant buzz of Las Americas. Puerto Col�n is for those who enjoy the finer things in life. A curved breakwater gives protection from the elements to the harbour and its variety of yachts, catamarans and boats which you can watch bobbing up and down in the gentle swell from one of the many Spanish style bars and restaurants that line the clean and well kept esplanade and pier. This is also the major marina where the majority of boat trips leave from for whale and dolphin watching, fishing or just a day cruising the waves. Tenerife is one of the top destinations in the world for big game fishing with Marlin, Tuna and Wahoo available within its coastal waters. A wide variety of different boats offering either full or half day trips are available to test your skills and luck, leave from Puerto Col�n. Another set of breakwaters protect a selection of relatively small but well maintained purpose built beaches where you can sunbath on the soft volcanic sand or if you are feeling a little more energetic, take advantage of the wealth of sporting activities available here such as volley ball, jet skiing, parascending, banana boats, hand gliding, diving, snorkelling, surfing and wind surfing among others. Property prices here are a little higher than in some other areas. Puerto Col�n is all set to become the playground for the rich and famous but bargains are still to made at the moment. Many of the properties here overlook the marina, with the shadow of La Gomera in the background. You will not fail to be enchanted by some of the most stunning sunsets every evening as the golden globe sinks behind the masts of the boats and the horizon in a flurry of reds, oranges and yellows. Tenerife is the largest of the Spanish owned Canary Islands situated off the North west coast of Africa and due to its constant good weather, excellent beaches and facilities and spectacular natural beauty it attracts over 3 million visitors every year from all over Europe. If you are interested in learning more about Puerto Col�n and what property is available in the area contact My Tenerife Holidays today and let our friendly multi lingual staff help you. Choose either the Sunseeker Sportscruiser Portofino 35 or 46 and explore the crystal clear seas that lap the beautiful coastline of Tenerife. Read more. 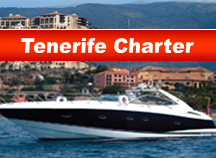 The Most Luxurious Yacht in Tenerife for the Ultimate Experience in the Canary Islands. The DreamCharter yacht is incredibly versatile and manageable and, with engines powered at 2,500 horse power ... Read more. 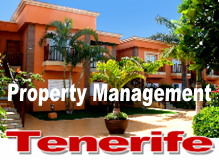 If you are the owner of a home in Tenerife South, then you must know your property is in good hands. Read more. You pay no fee and the publication of your property is for FREE. We simply charge 15% of bookings made only through us. Plus you can either decide to upload your property yourself or let us do all the work for you... Read more. You pay no fee and the publication of your property is for FREE. We simply charge 15% of bookings made only through us. Plus you can either decide to upload your property yourself or let us do all the work for you.
. Tenerife Holiday Lettings. 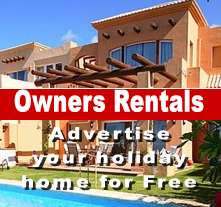 Booking tenerife apartments, villas, houses, hotels, cottages, cars, excursions, flights.